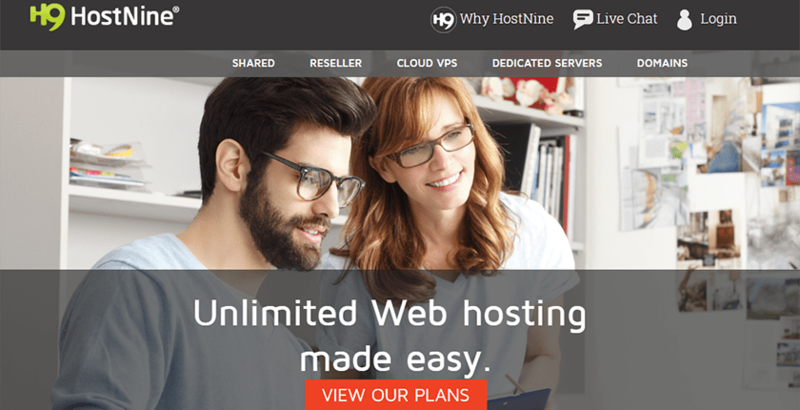 Host Nine Review 2019: Is Host Nine a Good Hosting? Hostnine is a premier hosting company offering world-class hardware and tremendous value-added features not provided on most standard web hosting. Some plans require you to pay a bit more for specific features such as SSL Certificates, but their core features help to put them in a higher class of web hosting companies. Hostnine has been offering superior web hosting services since 2006. They set themselves apart from the competition by hosting sites on Enterprise-quality hardware from multiple global data centers. Starting with their Softaculous Installer, they offer numerous value-added services that make them ideal for webmasters of all skill levels. One thing that Hostnine offers that most hosts don’t provide is the ability to choose your data center for Business and Enterprise plans. You can select a data center in one of six different countries allowing you to host your data as close to your target audience as possible. Hostnine makes it easy to set up your site with their Softaculous Installer that offers simple one-click installation for your website. They also provide cPanel access which allows you to set up whatever website you create. More advanced web developers will appreciate the ability to design their site in Perl 5, Ruby on Rails, and other programming scripts and languages. A couple of things I don’t like here is that you have to pay for your domain on the Personal plan. Most other hosts give you a free domain for any paid service plan. Also, only the Enterprise plan gives you a free SSL Certificate. If you want to host a secure site or a business site, that’s another added fee you’re forced to pay. One thing I really like is their money-back guarantee, which is a 45-day money back guarantee. Most sites only offer a 30-day guarantee. If you need customer support, you have options. They offer live chat and phone support 24/7. There is a searchable knowledge base available, but it is only accessible to those with a hosting account. When I contacted support, they responded in about 30 seconds, but it is clear that their support is not native English speaking. However, the agent seemed to have no problems understanding my issue and was still able to communicate an answer adequately. Hostnine gives you many more standard features than most hosts giving you the freedom to create a website that best suits your needs. Even with the added fees for certain features, their value-added features make them a provider worth putting on your short list. Wondering how Host Nine stacks up against other Web Hosting companies? Enter any other Web Hosting company and we will give you a side-by-side comparison.